Courtesy of Harrison JacobsCuba is a place to just go with the flow. 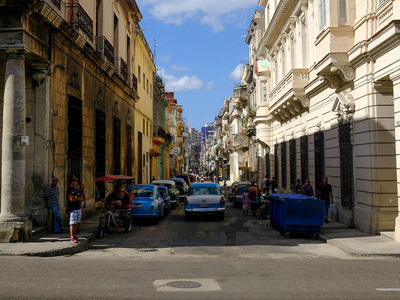 Travelling to Cuba is different from vacationing in most other countries. Many of the best and most reasonably priced lodging and activities are only available on the island because of the lack of internet. 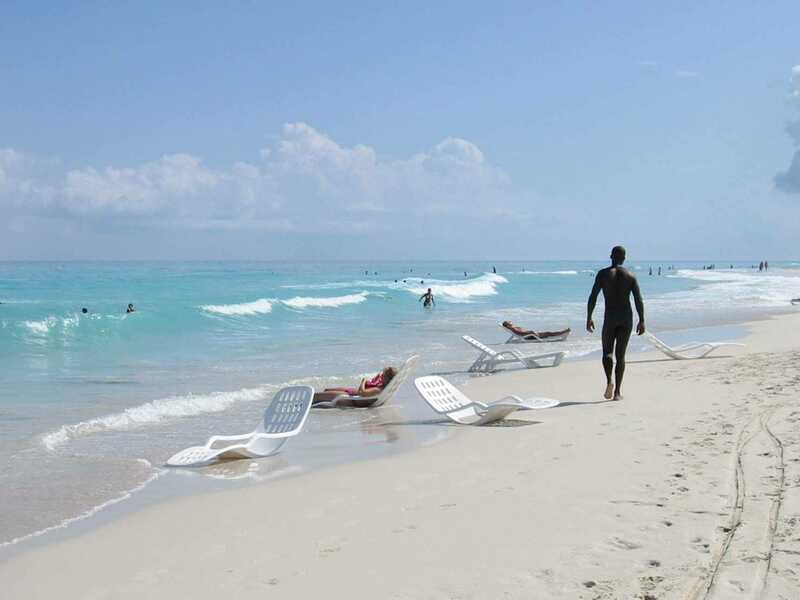 If you don’t book ahead of time and instead book things on the island, you will likely save money and make sure more of your tourism dollars go to actual Cubans. Travel to any country on vacation and you almost always have to plan ahead. As you get closer, hotels get booked, events sell out, and prices go up. There’s a huge advantage to planning everything. On a recent trip to the island, I discovered that while you can certainly plan ahead, there are distinct advantages to arriving on the island with nothing but your return plane ticket, plenty of cash, and a vague idea what you want to see and do. Not booking ahead of time will save you money and direct more of your tourism dollars to actual Cubans, rather than the Communist Party or American corporations. Because of the scarcity of the internet and the island’s general isolation, most lodgings, car services, and tourist activities aren’t listed online. The ones that are listed likely have a very basic booking system, are run by the most privileged Cubans, and have inflated prices. You are paying extra for the convenience of internet booking. While some lodgings are listed on services like Airbnb, you are then paying an American company 15% of money that should go to Cubans, with little benefit to you. The official hotels, meanwhile, are generally government-run, overpriced, and not nearly as nice as pictures would suggest. Once you get to Cuba, however, you realise the system actually works efficiently if you don’t book ahead. That’s because of the “casa particulare” system. Courtesy of Harrison JacobsA ‘casa particulare’ I stayed at in Vinales, Cuba. The system has been around officially since 1997, when the government allowed casa hosts to register with the government as legal businesses, though reports say Cubans rented out rooms under the table for years before. The casa system is like a home-stay, where tourists can stay with actual Cubans (although most are on the wealthier or more privileged side, and pay heavy taxes to the government). “Casa particulares” are everywhere, marked by this blue insignia on the front of houses. 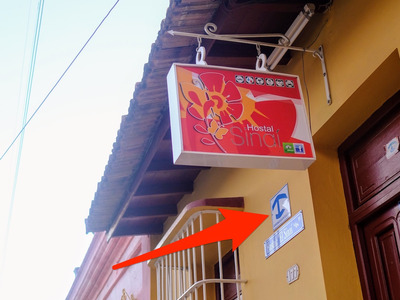 If you are looking for a place to stay, just walk around the neighbourhood you want to stay in, find one of those signs and knock on the door. They will usually have a room open. If they don’t, they will be happy to find you a room with a friend of theirs (for a small commission), or you can just walk a little further until you find another one. If the room they have available seems overpriced or not to your liking, either ask for them to arrange a different room or head back out to search on your own. 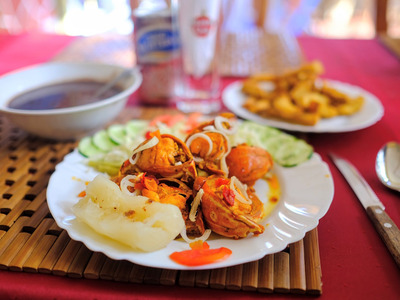 Your host will be knowledgeable about the best tourist activities (a guided tour, horseback riding, snorkelling, a taxi to the next city) and will be happy to arrange it for you. Again, for a commission of a couple dollars. In addition, casa owners all will make a delicious breakfast or dinner for you for a relatively cheap price. And if you want to go out, they will have recommendations. Or you can head into town and find a tour guide, taxi driver, or activity organiser yourself to avoid the commission. There are no shortage of taxi drivers on the street who will travel distances both near and far, tour guides offering all different kinds of tours, and casa particulares to stay in. 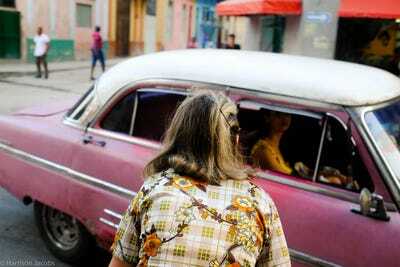 Tourism is the best way to make money in Cuba, a fact underscored by the price of everything. 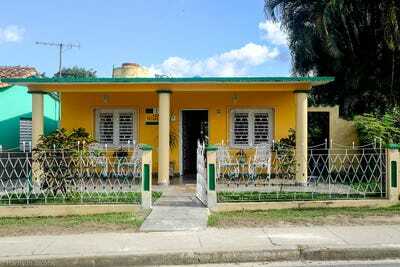 The cost of one night in a casa particulare costs about the same as most Cubans’ monthly salary. One note: There are two crucial parts to making the non-planning work. 2. Understand that asking another Cuban to arrange something for you will add a few dollars to the price. You are more than welcome to haggle, but unless the price strikes you as unfair, I wouldn’t recommend it. You’re likely arguing over a few bucks in an impoverished country. Don’t be greedy. Courtesy of Harrison JacobsThe $US15 three course lobster dinner I ate at my casa particulare in Viñales, Cuba.